What is the JATC of greater boston? 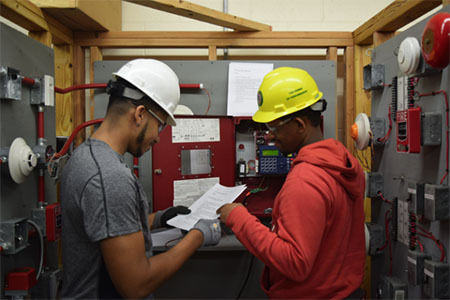 The Greater Boston Joint Apprentice Training Center’s (JATC) primary mission is to develop the most skilled, responsible and responsive Electricians and Technicians in the United States of America. We are dedicated to building professionals who have the expertise, character and sense of teamwork to bring value to the clients they serve, the union they represent and the contractors who employ them.